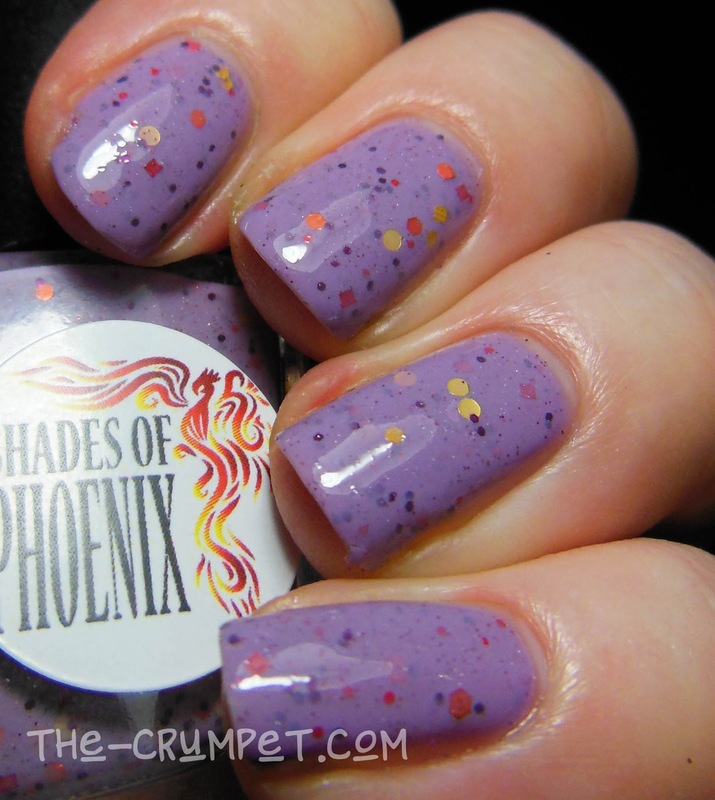 For the next 5 days you've got a treat of reviews coming up, with 6 polishes from Shades of Phoenix, yet ANOTHER awesome Aussie brand. 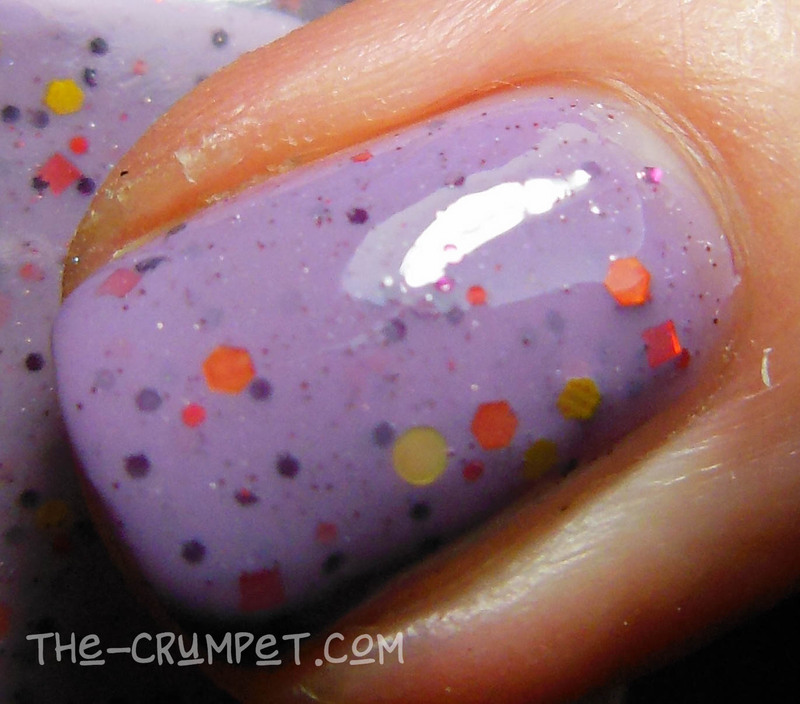 I genuinely loved each of these polishes - the intensity and saturation of the colours was magnificent - and they applied perfectly. 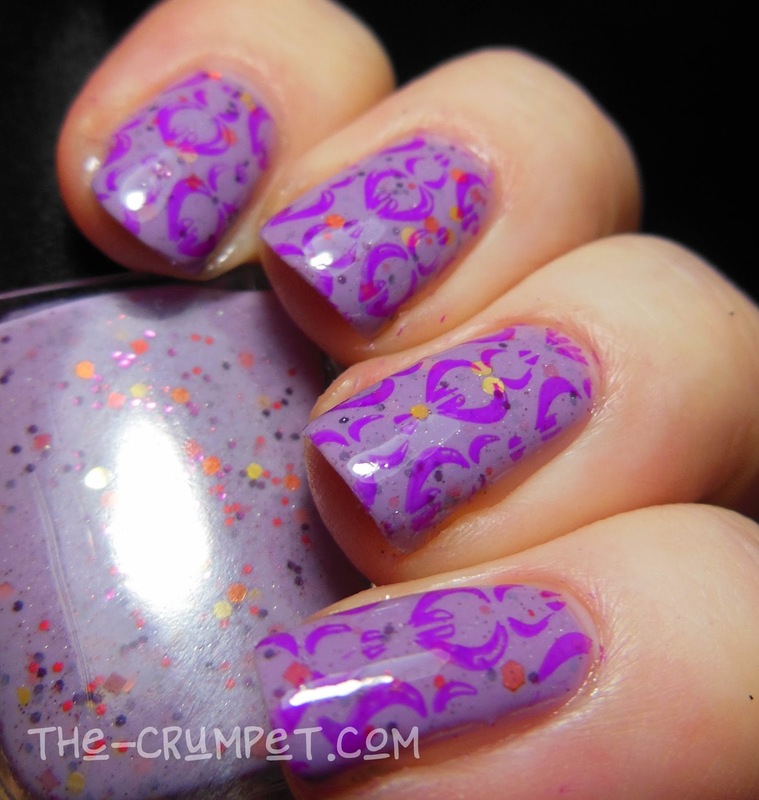 First up is Festival Fantasy, which is just DELICIOUS. Oh man I love this over and over and over. 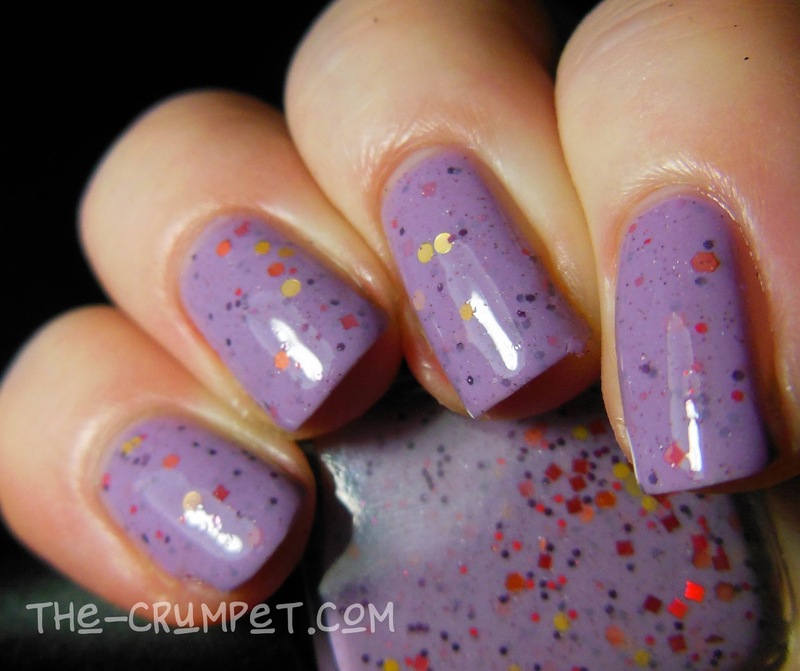 This is a baby soft yet deep lavender, sprinkled with a gorgeous blessing of giddy glitters. I just loved loved loved this combo. 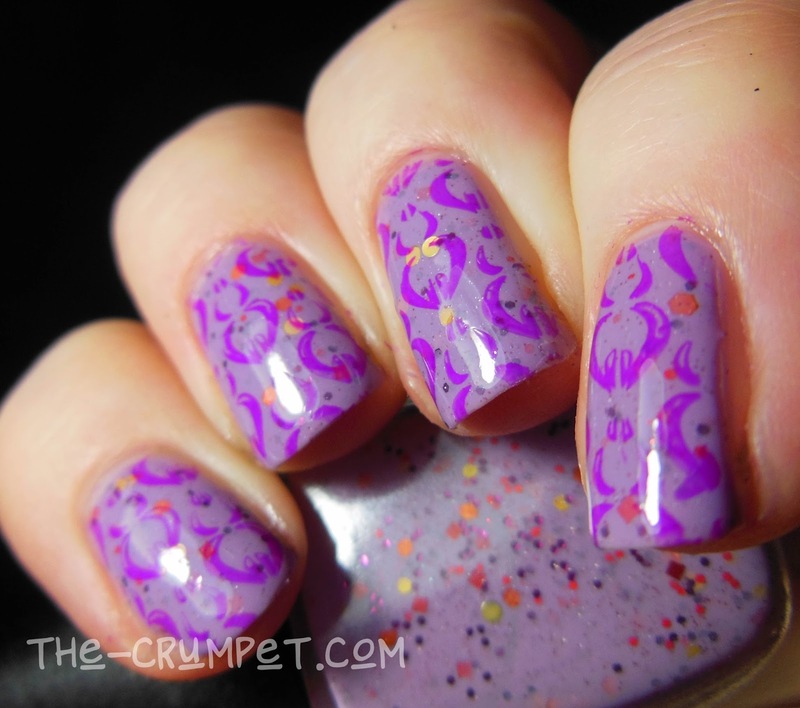 I then stamped on this beautiful baby using a magenta from MoYou Nails which is actually brigher than it looks in the photos. 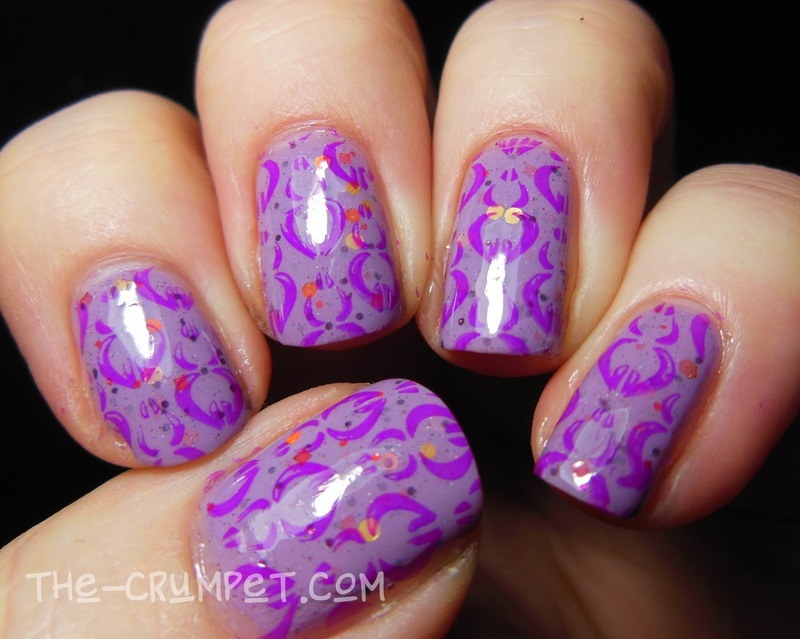 The stamping image is from MoYou Back To The 60s 05. I love the disco retro combination going on here. 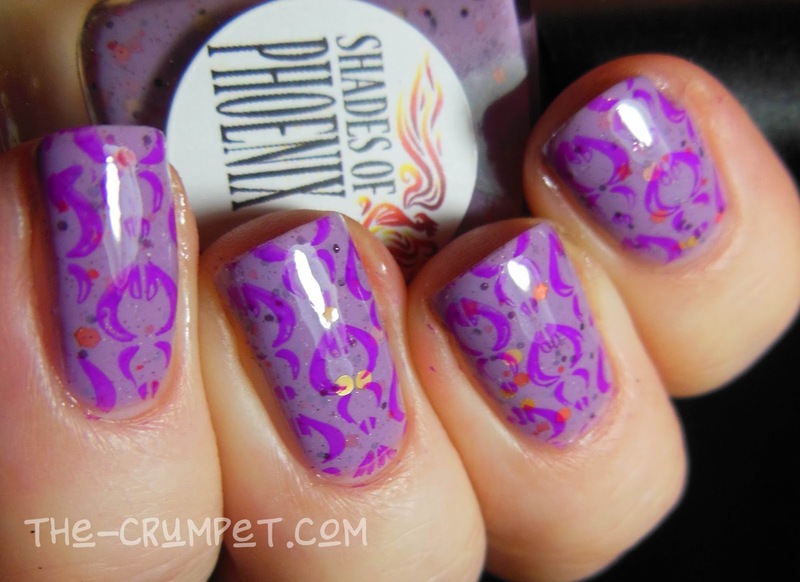 Shades of Phoenix can be bought here - check back tomorrow from more gorgeous.